Pioneering work being carried out in a cave in New Mexico by researchers at McMaster University and The University of Akron, Ohio, is changing the understanding of how antibiotic resistance may have emerged and how doctors can combat it in the future. In research published in Nature Communications today, the scientists examined one bacterium found 1,000 feet underground (called Paenibacillus) that demonstrated resistance to most antibiotics used today, including so-called 'drugs of last resort' such as daptomycin. 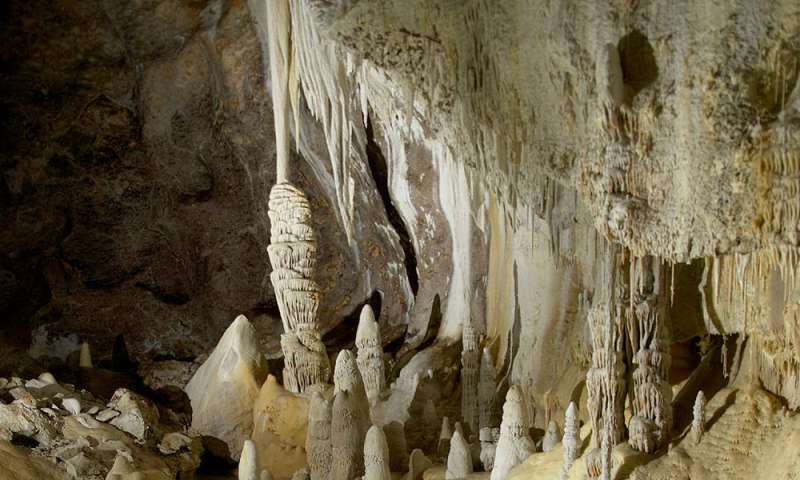 These microorganisms have been isolated from the outside world for more than four million years within the cave. The results show the bacterium is resistant to 18 different antibiotics and uses identical methods of defense as similar species found in soils. This suggests that the evolutionary pressure to conserve these resistance genes has existed for millions of years—not just since antibiotics were first used to treat disease. "The diversity of antibiotic resistance and it's its prevalence in microbes across the globe should be humbling to everyone who uses these lifesaving drugs," said Gerry Wright, an author of the paper and scientific director of McMaster's Michael G. DeGroote Institute for Infectious Disease Research. "It reflects the fact that we must understand that antibiotic use and resistance go hand in hand." Hazel Barton, professor and director, Integrative Bioscience at The University of Akron, said: "Exploring these challenging and remote environments offers a unique opportunity to sample the genetic diversity of microbes untouched by human activity"
Today's research publication follows work by the researchers in 2012 to examine microorganisms from the cave.